There is no better way to force every remaining “gold bug” to abandon ship than to have gold sink below the obvious major long term trend line. If this does take place there are many who will adamantly state that the “manipulators” are responsible for this decline. Frankly, after 60 years of observing this “mad money house” called Wall Street, I am reasonably suspicious of the probability that we collectively do it to ourselves. It is the wise few who know what we are going to do to ourselves and not the other way around. The most important difference is that gold is no Titanic. Gold is the ocean and at the proper time everything will sink below it! The proper time for the resurrection of gold is what we constantly seek. I hope that I am wrong but I do respectfully suggest that the proper time may well be after the major long term trend line is broken. 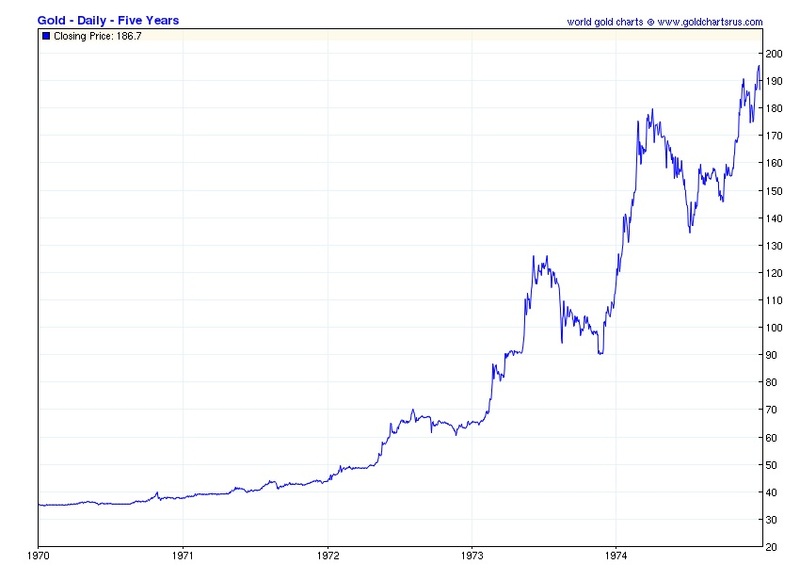 Here is gold acting out a pattern of human behavior separated by 41 years. The only thing currently missing is the final decline which should sink beneath the long term trend line. It will most likely be considered dead by one and all. Once gone from view it will once again rise like Lazarus from the dead. Only this time gold will reach for the heavens and the stars. It will be as long ago said “I am the resurrection, and the life: he that believeth in me, though he were dead, yet shall he live: And whosoever liveth and believeth in me shall never die". Deep down in the mind and soul of men this too is the history and life of gold! Gold was given up for dead in late 1973. It will once again be given up for dead by late 2014 or early 2015. 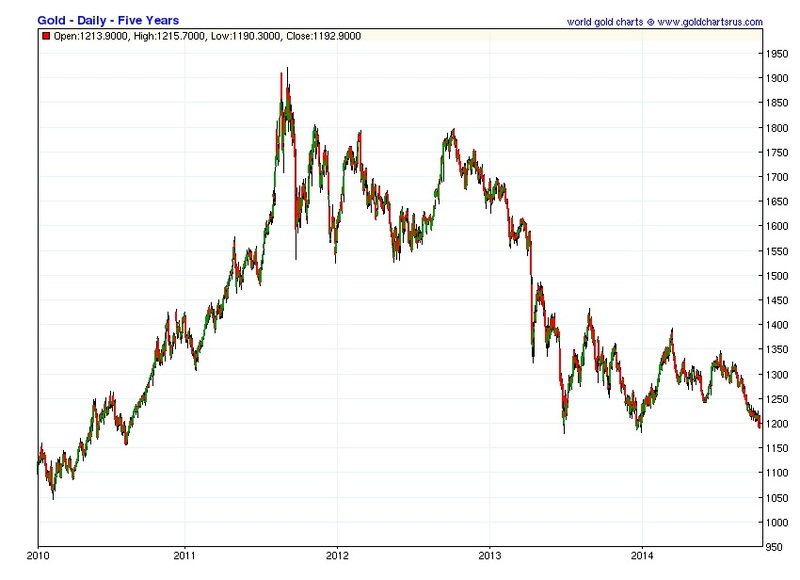 However, now as then gold will rise from the dead and quickly more than double in price. From that moment forward the worldwide economic truth about fiat money will become universal knowledge. 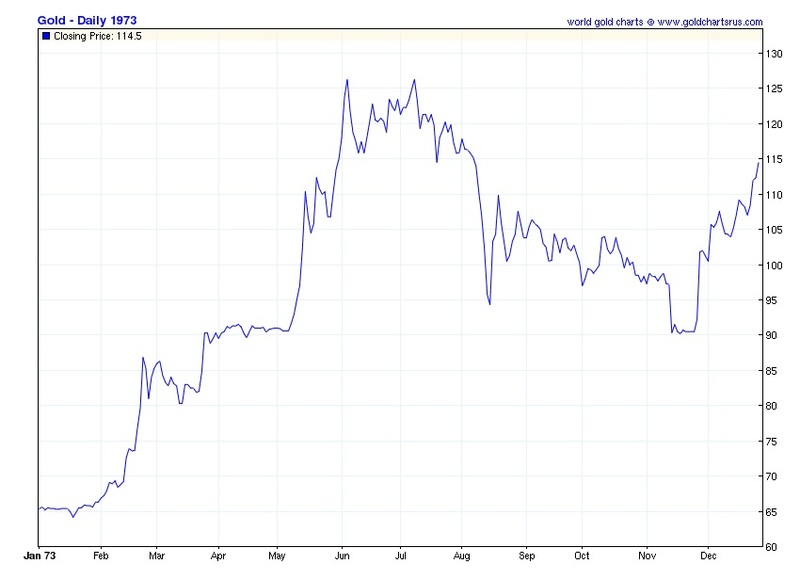 The patterns of human behavior will once again dictate the price of gold. It won’t be pretty for the governments of the world. That’s not me talking. That is the economic and monetary story of life on earth.